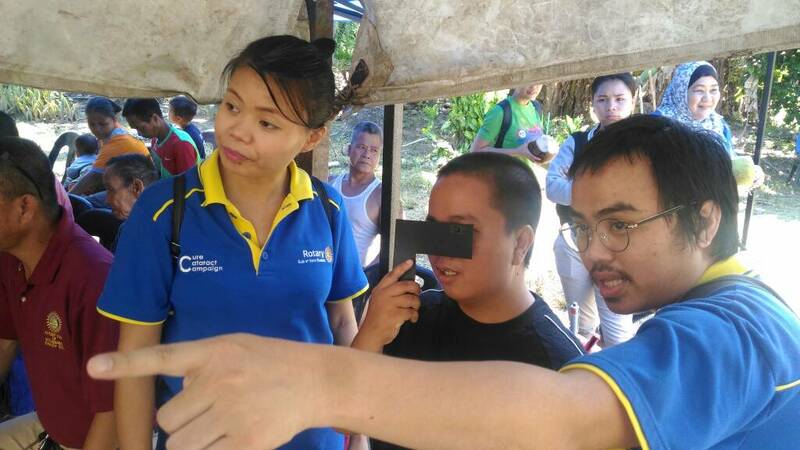 Overview: Rotary Clubs of Kota Kinabalu and Tanjung Aru jointly organized a cataract detection camp for residents of a cluster of villages in Kota Marudu District. 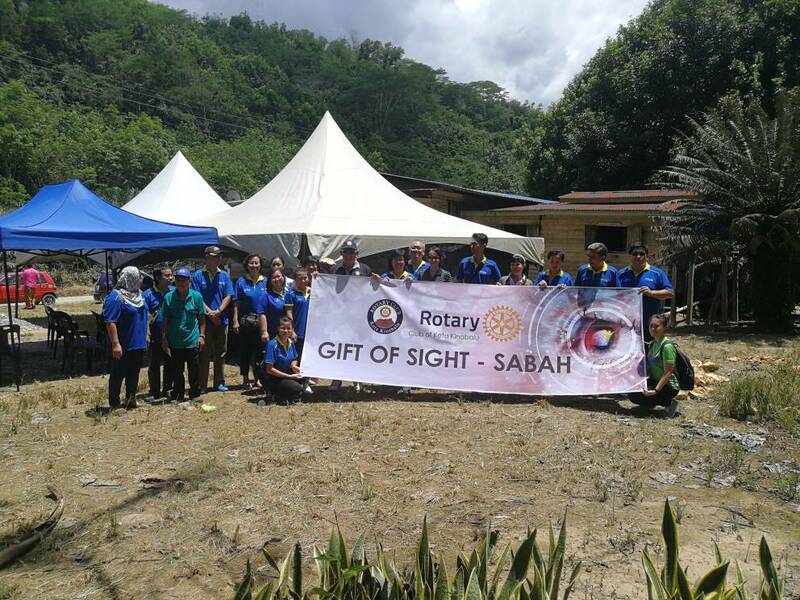 Located a few kilometers away from the KK-Kudat Highway on a gravel road, Kg Bintasan Tengah was the venue of this camp under the project Gift of Sight Sabah funded by a Global Grant. 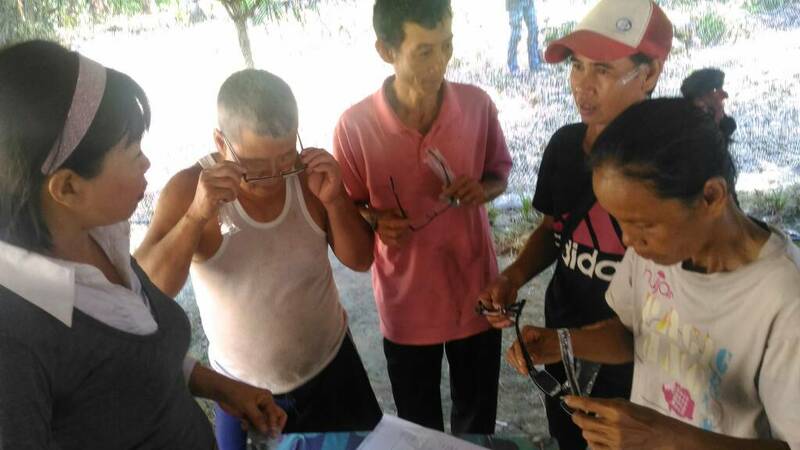 Total of 85 residents underwent screening of whom 15 were found to have cataract. 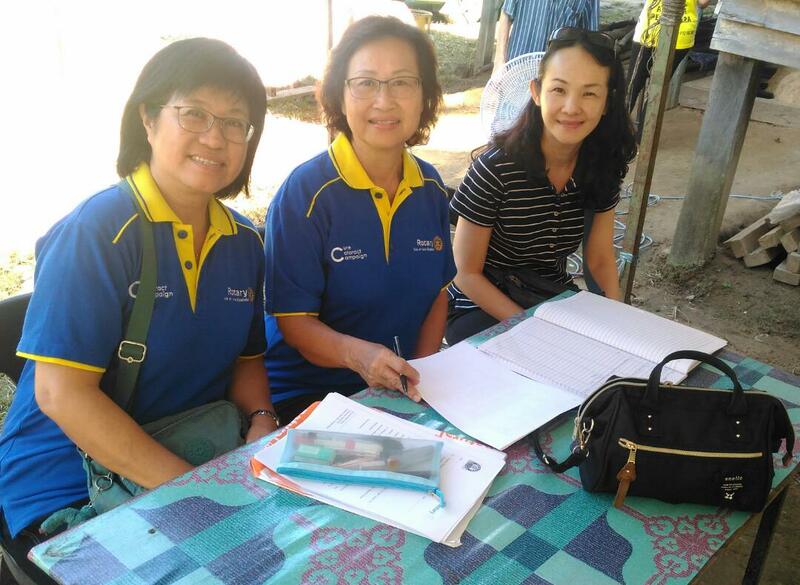 A team of 6 Rotarians and 3 Rotary Spouses from RC Kota Kinabalu left a day earlier to check all arrangements. 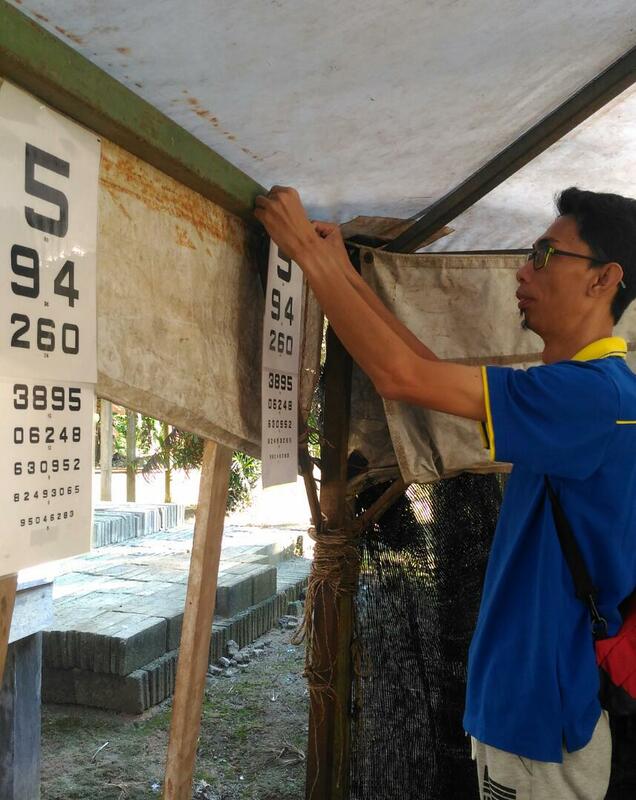 Cataract Finders – a volunteer force of paramedical staff from KPJ Sabah Specialist Hospital performed the screening examinations. The patients have been referred to Hospital Queen Elizabeth, Kota Kinabalu for further investigations. 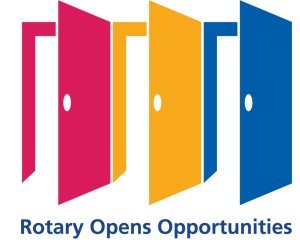 Those requiring surgery will receive intra-ocular lenses fully sponsored through the Global Grant.